Dr. Lynch’s training has taken him to the University of Virginia, Eastern Virginia Medical School, the University of Florida, and the National Cancer Institute’s Clinical Oncology Program, and now serves as a Professor of Medicine and Assistant Dean for Admissions for the College of Medicine. 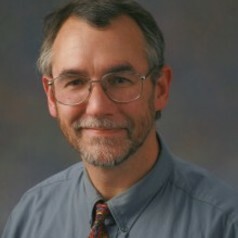 Dr. Lynch a course director, an educational innovator and has received many teaching awards throughout his career including clinical teacher of the year on multiple occasions, the Hippocratic award in 1995 and 2003 and 2008. He has been inducted into numerous societies including the Chapman Humanism Society, The Society of Teaching Scholars for the college of medicine and finally in 2006, he was named a Distinguished Teaching Scholar for the University of Florida. For 13 years he served as the program director for the hematology/oncology fellowship program and for 7 years the section chief of Hematology/Oncology and the VAMC. Dr. Lynch’s is recognized as national leader in diagnosis and treatment of lymphomas where he maintains an active clinical practice. He has published over 100 articles, chapters and abstracts and continues an active research program focusing on the diagnosis, prognosis and developing novel therapies for patients with Non-Hodgkin’s lymphomas and Hodgkin’s disease.